samples of rocks and dust, and return it to Earth, to study in laboratories with all the specialist instruments we have here. You can understand why so many scientists and mission planners are keen on the idea. However there are a few reasons for doubting that it is such a great idea to do a Mars sample return at this early stage, with different issues raised by various researchers. Some of these doubts are about the science value. Do we know enough to return interesting samples to Earth, especially since, because of restrictions on weight, the samples will consist of a selection of small fragments of crushed rocks, and dust? Is it worth the high price of the mission to do that? Other doubts are about safety issues for Earth and a small possibility of existential risk from the mission - a risk that potentially could effect the whole of humanity for all future time. Most likely, if there is any kind of contamination chances are it is of little importance and easily contained. But on the very remote chance that contamination happens that can't be controlled, the consequences would be almost unimaginably large. The worst case scenario is of an accidental release of reproducing martian micro-organisms on Earth that leads to environmental disruption of Earth. Though this seems exceedingly unlikely to happen, there is no way to completely rule out that possibility at our current levels of understanding. When such a possibility is avertible, why take even a tiny risk of that happening?. Some scientists have suggested that we might not know enough to intelligently select samples for retrieval. They point out that we receive samples from Mars via meteorites anyway. What if the mission returns samples that are no more conclusive than the Alan Hills 84001 meteorite; the meteorite famous for the controversy over existence of martian nano life?. Any previous life in the top few meters of the martian soil gets degraded by cosmic radiation over millions of years. It may take some time to discover pristine samples, buried at least several meters deep for geological timescales, and with evidence of early life, or stages of abiogenesis on Mars (the origin of life). Then there is increasing interest in the possibility of present day life on Mars. Most recently, there is a renewal of interest in the possibility of habitats suitable for life on the surface. This began with the observation of what look to be droplets of salty brine on the legs of the Phoenix polar landing in 2008, though it's not generally agreed yet what they are. This sparked a wide ranging investigation of possible locations for salty brine on the surface of Mars. Early this year there was a major conference on the topic, "The Present-Day Habitability of Mars 2013"
There is intriguing direct evidence too in the form of changing features on the surface of Mars, patches that appear to grow seasonally. Most think these have a non life explanation. Some though think these could be partly due to the activity of life. So, there is at least a possibility for present day life on Mars, easily accessible from the surface. However, if so, it exists in micro-climates such as droplets and thin layers of extremely salty and cold water formed by deliquescence on salt, or drops of water around grains of dust in snow, martian geysers, or ice layers warmed up temporarily in winter by the layer of dry ice above acting as a greenhouse. It will probably be a sparse population, and slow growing. It also used to be thought that the surface conditions on Mars were extremely hostile to microbial life. On short timescales the perchlorates and the UV radiation were thought to be lethal. On longer timescales cosmic rays were thought to prevent any life from surviving in the top few meters of soil. It is now known that soil types on Mars are varied, and including alkaline soils, salts and clays. It's also known that some micro-organisms can use perchlorates as a source for energy, and that some micro-organisms are astonishingly resistant to UV radiation. It also used to be thought that life was unlikely on the surface of Mars because life typically puts the atmosphere out of equilibrium. With these new ideas though, that argument is less convincing than it was. A sparse, slowly growing population thriving in rare micro-habitats could have such a small effect on the atmosphere as to be undetectable. This life may well also be impossible to cultivate in the laboratory. The majority of micro-organisms on Earth are "uncultivable" - because they need growth factors and the presence of other micro-organisms to grow, and these factors are unknown. All this rather suggests that the search for a sample on Mars ewith unambiguous signs of fossil or present day life may be a long one, that can only be carried out by taking life detection equipment to the surface. Samples selected by a lander with limited detection capabilities could easily turn out to be uninteresting, at least to microbiologists. the Astrobionibbler, able to detect a single amino acid molecule in a gram of soil. Urey Mars Organic and Oxidant Detector instrument for detection of biosignatures - sadly has been removed from the ExoMars spaceship because of reasons of weight. Levin's new version of his labelled release experiment from Viking updated to detect chirality. This is of especial interest since it could detect martian life based on novel chemistry - something that most of the other instruments can't do. Though it depends on the life to be cultivable, which the others don't require. 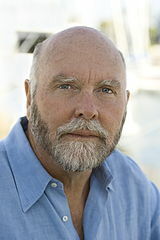 Then, Craig Venter, sequencer of human DNA is involved in a project to develop a miniaturized DNA sequencer small enough to fly on a spacecraft to Mars. His reasoning is that modern equipment is so sensitive that it would be confused by the presence of a single dormant Earth micro-organism or spore on the sample. He believes it is impossible to return a sample from Mars to Earth with present day technology and guarantee that not a single Earth micro-organism will contaminate it in transit. So he advocates carrying out a search for DNA on the surface of Mars directly using a miniaturized DNA sequencer. Some others, especially microbiologists, warn about a (though to be low probability) possibility of existential risk after return of a sample from Mars to Earth. These possibilities include substantial changes in the ecosystem and extinctions. When the entire biosphere hangs in the balance, it is adventuristic to the extreme to bring Martian life here. Sure, there is a chance it would do no harm; but that is not the point. Unless you can rule out the chance that it might do harm, you should not embark on such a course. …Precisely because Mars is an environment of great potential biological interest, it is possible that on Mars there are pathogens, organisms which, if transported to the terrestrial environment, might do enormous biological damage - a Martian plague, the twist in the plot of H. G. Wells' War of the Worlds, but in reverse. This is an extremely grave point. On the one hand, we can argue that Martian organisms cannot cause any serious problems to terrestrial organisms, because there has been no biological contact for 4.5 billion years between Martian and terrestrial organisms. On the other hand, we can argue equally well that terrestrial organisms have evolved no defenses against potential Martian pathogens, precisely because there has been no such contact for 4.5 billion years. The chance of such an infection may be very small, but the hazards, if it occurs, are certainly very high. …The likelihood that such pathogens exist is probably small, but we cannot take even a small risk with a billion lives. So - is a disaster like that realistically possible? If so what should we do about it? How does one assess risk when the chance of it happening is likely to be very low but the probabilities are imperfectly known, and the consequences of a mistake are so severe? The Oxford philosopher Nick Bostrom studies existential risk. He argues that we haven't evolved to be able to reason about such risks,either socially or evolutionarily, because, obviously, they have never happened to us in the past. So we have no trial and error experience to rely on. For more see his website Existential Risk, Threats to Humanity's Future. Related is the Cambridge Project for Existential Risk. So, it is a tricky thing to even think about never mind come to a decision about. However, let's give it a go. One thing to bear in mind, we are used to messages of apocalypse, "the End is Nigh", "we are all doomed" etc. But this is a different message, it is a positive one. The idea is to identify things that could be existential risks - and then act to prevent them from happening. The reason they may happen more easily now is because of the rapid forward pace of technology. It used to be that about the only existential risk humanity faced was impact from a giant asteroid. Now there are numerous potential risks that thinkers such as Nick Bostrom have identified. We need to look soberly at each one, and decide what to do about it. Most likely, nothing at all would happen after a Mars sample return, and you are more likely to be killed by lightning. If anything does happen, chances are that it will be a minor incident, easily contained. There seems to be general agreement on this by just about all concerned. Following Nick Bostrom's suggested reasoning: let's take his lowest figure for the number of people potentially affected as 1016. Suppose you achieve a 1 in 1010 probability of existential risk (after containment). Normally such a low figure would be considered negligible. However when you combine these figures, you get an expected value of million people. So, though the probability of anything happening at all is so tiny, you can argue following Nick Bostrom. that for decision making it should be treated as equal in weight to any other risk expected to harm one million people. So - how low is the probability? Is there any chance at all of an existential risk? Martian micro-organisms might not exist at all, or may not survive on the surface. In particular it may be very hard for life to get started on a planet, if so it might have never arisen on Mars. It is also quite hard for life to be transferred from one planet to another via meteorites, so it is possible this never happened. Extremophiles on Earth don’t seem to cause problems when we discover new habitats on Earth. So - those are reasons to be somewhat less worried. This is why most think it is unlikely anything will happen. But there are flaws with these reasons and they are not convincing enough to be sure that nothing will happen. The reason is that they rely on analogies between Earth and Mars life that may not hold exactly. Martian life need not be slow reproducing in Earth conditions. Also, if still slow reproducing, it might just mean that there is a long latency period before it causes a problem for us. Extremophiles on Mars may be different from Earth extremophiles, and even may be based on a different life chemistry. Also extremophiles on Earth are closely related to other life - few habitats have been isolated for micro-organisms for as much a a million years on Earth. Martian life may have been isolated from Earth for as much as billions of years. We don't have any experience of encounters with life that has been isolated from us for so long, and on another planet. Most micro-organisms on Mars probably can’t make the transition to Earth on a meteorite, if indeed any can. Only a tiny percentage of Earth micro-organisms can do it. Though we receive martian meteorites every year, it requires a large impactor to eject debris from Mars all the way to Earth. These are rare, may only occur every few million years, and the greatest risk of a new species introduced to Earth may be shortly after the impact. If any martian micro-organisms did make the transition to Earth on meteorites in the past, it is possible that they did cause extinctions. None such have happened in the recent past, but in the more distant past there have been many not yet well understood extinctions on Earth and the fossil record is also very incomplete. This was one of the conclusions of the National Research Council report Assessment of Planetary Protection Requirements for Mars Sample Return Missions, that the records are not sufficient to rule out the possibility of extinctions due to Martian meteorites in the more distant past. Pathogens adapt to cause less problems rather than more, as it is not in the interest of a pathogen to kill its host, and are more virulent when they first infect humans. Pathogens have to infect a host for the first time, and in case of Legionnaire’s disease this happened with humans just a few thousand years ago. Pathogens may infect micro-organisms and so infect human cells by the same mechanism (as happened with Legionnaires disease). They could also be allergens or live on the surface of the human body e.g. skin, or in the lungs. Some micro-organisms transfer DNA between each other using Gene Transfer Agents (GTAs). So it is possible that these agents could transfer martian DNA to Earth micro-organisms. Martian micro-organisms might not be affected by reactions of our immune system if based on a different life chemistry or radically different through evolution. These of course are meant as tiny unlikely probabilities, but to be considered for existential risks. Whether a microorganism from Mars exists and could attack us is more conjectural. If so, it might be a zoonosis to beat all others. On the one hand, how could microbes from Mars be pathogenic for hosts on Earth when so many subtle adaptations are needed for any new organisms to come into a host and cause disease? On the other hand, microorganisms make little besides proteins and carbohydrates, and the human or other mammalian immune systems typically respond to peptides or carbohydrates produced by invading pathogens. Thus, although the hypothetical parasite from Mars is not adapted to live in a host from Earth, our immune systems are not equipped to cope with totally alien parasites: a conceptual impasse. Some of these possibilities may seem unlikely, but how do you assess the probabilities of them? Can we design a mission return to Earth able to cope with these possibilities? What about the latest research from Mars? There have been no direct searches for present day life on Mars since the Viking expeditions in the 1970s. Instead the focus has been on search for water. Curiosity is the first since Viking to search for life biosignatures, and it only targets past life and is not rated to be able to visit areas on Mars where present life is possible. It was sent to one of the driest places on Mars, unlikely to have present life. Even for past life, it is limited in its capabilities. It could look straight at a fossil of a micro-organism and it wouldn’t see it because its “hand lens” is not powerful enough to see it. Many new ideas have been suggested for habitats on Mars including various micro-climates on or near the surface. These include, deliquescing salts, moving sand dunes, temporary occurrences of liquid brine a few mm below the soil surface and other micro-habitats. Another possibility is that the desert varnish may include micro-organisms. Also some observations from orbit have been interpreted as possibly showing life on the surface of Mars, and a reassessment of the Phoenix observations suggests that the soil examined by Phoenix has potential for habitability, and that sub-polar regions on Mars are particularly favourable for finding such habitats. So some modern Earth life probably could survive and reproduce in those habitats if they exist. Martian life might be able to as well. What level of probability for a severe event is small enough? This is a tough thing to discuss as we have nothing comparable in our ordinary day to day decisions about risks and probabilities. Suppose for instance, for the purposes of discussion, that the chance is one in a billion of a severe event such as mass extinction or ecosystem damage or extinction of humans? On an individual level, a chance of one in a billion is a tiny risk. We each run much higher risks of dying of other causes, and this would rank it as well below any of the things that most people worry about, even risk of being struck by lightning for instance. However, this is a novel situation. It is not a one in a billion chance of yourself dying of a Martian organism - but a one in a billion chance of the entire world being affected by it. It is a chance of something really major happening to billions of people. It could potentially risk extinction of the human race, meaning that there will be no more humans for the future thousands or perhaps even millions of years that the human race might otherwise survive for. This may be quite hard to get used to, a novel idea that anyone might care about something so unlikely to happen. If you ask “Do you really think that a MSR would cause any problems at all, especially given all the precautions proposed?” then even those most concerned about it will probably be something like 99.9999999% confident that it would all go just fine. It is just a background tiny tiny chance of it happening, but what is the great hurry, why take the risk at all? Let’s find out more about the samples on Mars first, and see what it is that we are returning first. Just on the remote possibility that we got something wrong, or that the tiny chance of it being hazardous does actually happen. How sure are we that the probabilities of something going wrong are tiny? Is the Fermi Paradox reason to be concerned? The paradox here is, why have we not met ETs already? Indeed why didn't they colonize our Earth long before we had a chance to evolve, billions of years ago? Life got started on Earth remarkably quickly, within a few hundred million years. But the sun is a young star as our galaxy goes (sun's age 4.57 billion years), much less than half the age of our galaxy (the milky way star HE 1523-0901 is 13.2 billion years old). Many other stars must have shone before our one. Exoplanets are also known to be common and though our instruments can't yet spot Earth like planets around other stars, there is every reason to believe that they may be common too. If you try to calculate the probability that an intelligent life form preceded us in the galaxy, then you end up with an equation with many unknown probabilities in it, the Drake equation. When you plug in best guesses into that equation you get different results, from one, to many millions, depending on your choices, but reasonable guesses give you a figure of tens of millions of civilizations currently in our galaxy. Yet we are close to the capability needed to spread into space colonies. Once we have fusion power - close to inexhaustible power from water ice; and once we can colonize the asteroids, Kuiper belt and Oort cloud (cloud of comets that spreads out for perhaps 0.7 light years most of the way to nearby stars), there seems nothing at all that could prevent humans from spreading out to colonize the entire galaxy. With the galaxy only 100,000 light years across, colonization of the entire galaxy would seem inevitable within a few million years, or at most a few hundreds of millions of years, a short time period in the history of our galaxy. So if we can almost do that already, then ETs who have been developing their technology further than we have for billions of years must be able to do this and much more. So why aren't they here already? Why indeed, didn't they colonize Earth right from the start, soon after the planet cooled from the nebula when the sun formed? We would almost certainly do that if we came across a planet like Earth just forming, unless our ways of thinking change radically. One suggested solution goes like this: ETs that follow similar technological paths to ourselves, the ones we are likely to be able to communicate with, are highly likely to take technological existential risks. In almost all cases this eventually leads them to extinction. If that is true then we should pay particular care to risk assessment of anything that could lead to extinction of the human race. This is only one possible reason for our inability to find any other ETs in our galaxy to date. Many other reasons have been suggested, so this may not be the correct reason at all. But it does give pause for thought in case it is the reason. What level of risk is acceptable for such a severe outcome? Can any probability be small enough to risk this? What about one in a trillion? One in a quadrillion? They intend the principle for forward contamination issues. However it seems a useful idea for discussion for backward contamination too. So if we apply that, then if we can reduce the probability to substantially less than the risk from meteorites from Mars that land on Earth naturally, then that could be an example of a low enough risk. This seems reasonable enough. However there are several important differences between the natural sample return via meteorites and the planned sample return mission that make comparison of probabilities tricky at our present level of knowledge of the Mars samples to be returned..
Also, these are not carefully selected samples chosen for their interest for the study of life on Mars. Also with the MSR mission, the aim would be to keep it as unsterilized as possible for the voyage home and to protect it from solar UV and cosmic rays. If there are micro-organisms on Mars able to make the transition to Earth on a meteorite, they have probably already done it, and it is possible that they have already caused extinctions on Earth in the geological past (though considered unlikely, this can’t be ruled out). So the ones of most concern are any micro-organisms that are not able to survive a natural MSR. Once we have better knowledge of the Mars samples, this criterion could be a basis for returning a Mars sample with a low enough level of risk. How do you assess the probabilities? There are so many unknowns that it is really hard to put any real figures to the probabilities. It is a bit like the Drake Equation for calculating the number of Extraterrestrial Intelligences in the galaxy. You can argue convincingly for anything between just one civilization (ourselves) and millions of them. Just like the Drake equation,you have lots of probabilities to assess and in most cases can’t put any figures to them at all, just guesses. Though it is a bit more complicated than the Drake equation as you can’t just multiply them together as there are different possibilities to consider. that the life on Mars uses DNA but with different bases and different amino acids from Earth life, or is a mirror image of Earth life. You also have the incubation period of life on Mars when introduced to Earth conditions (if it survives). To judge by Earth micro-organisms this could be anything up to 50 years (incubation period of Kuru). Or it might coexist with Earth life for a long time, and then some mutation suddenly makes Earth life vulnerable to it. Then for the sample return again you have many unknowns as well.. The sample receiving laboratory is a new type of biohazard building never built before, which has to contain the Mars life, and at the same time keep out Earth life as well. Normal biohazard facilities work with negative air pressure to keep life in, and clean rooms with positive air pressure to keep life out. No-one has ever built a biohazard facility to do both at once. Staff for the facility will also be unfamiliar with working in such a facility. The plans are to build the facility long enough in advance so they can become familiar, with planning starting 10 years in advance before the sample return, and with the staff present two years before. But will the exercises they do during those two years really prepare them sufficiently for the real Mars sample return? The sample capsule could be breached by a micro-meteorite on the way back to Earth and this might not be detected. There could be human error as happened several times with the Apollo era quarantine facilities (for one example the detection of life on the Surveyor camera brought back from the Moon has been cast into doubt because of a human error that could have permitted contamination of it). Will some of the researchers who work with the samples every day, handicapped by the extremely high levels of security, eventually take less caution than they should? Especially if it looks harmless and everyone knows the chance of anything at all happening is truly minute? There could be crime, natural disasters, accidents. 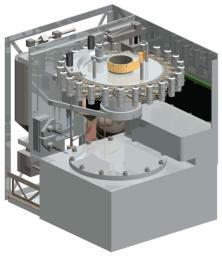 For instance how does the sample container get to the receiving facility once returned to Earth? What if there is a crash on the way to the facility? What if a tornado hits the facility or some other natural phenomenon? What about the engineering challenge? In a large complex project like this there is always the chance of something going wrong, not through failure modes, but through human design errors, like the famous mixup between metric and imperial units that caused the crash of the Mars Climate Orbiter. Or the programming error that caused the loss of the Russian Phobos 1 spacecraft? Once back on Earth they quote a figure of one in a million of sample containment. But that figure is based on assumptions about the smallest size of living Martian micro-organism. What if that number is wrong and even smaller living organisms exist than we thought possible? How reliable is that one in a million figure anyway? How can you be sure that a facility designed to contain Earth life will contain Martian life, which may be based on different life chemistry, be undetectable by DNA analysis, and may reproduce in different ways from Earth life. How do you asses the probabilities of all those unknowns? Actually my own greatest worry here is human error. Of all of them, it is the one hardest to give a number to. Given the number of errors that have happened in spacecraft designs for Mars, then the chance of an error in a program as complex as this, I'd be surprised if NASA or anyone else can really do it with a better than 99.9999% confidence that there will be no engineering errors, or software errors or protocol omissions etc that lead to a breach in containment. Actually I would guess that even a 99.9% certainty of human or design error would be quite hard to achieve, if the number of failed missions to Mars to date is anything to go by. Curiosity was a great success, but during the crucial landing on Mars, I doubt if anyone in the mission control centre was even as much as 99.9% confident it would succeed, as you could tell by their relief when it landed successfully. How can you be totally confident that you can return a sample from Mars to Earth with total biosecurity, using an extremely complex new mission design, when you can't yet be totally confident that you can send a new design of spacecraft to Mars successfully? Since most of the probabilities are going to be guesses, especially the ones about life on Mars, and you then have to combine them, then it is hard to give a confidence range. If you try, you are likely to be a range of several “orders of magnitude”. E.g. that the probability of a severe outcome might be one in a billion, but with 99% confidence only that the probability is between one in a thousand and one in a trillion. That seems unlikely to be a very fruitful approach. So instead it might be better to use a similar approach to Drake’s equation. I suggest that instead of attempting a confidence range, that the entire study be carried out independently by different scientists and teams, each using their own best assessments of the probabilities, and see what they come up with as a range of different values. Members of a team could be encouraged to come up with different final answers to the calculations, so we can see how much variability is involved. This is unlikely to give an agreed upon final answer. But it may help to give us an idea at least of the range of opinions on the matter amongst scientists which is useful for public debate.. I will try an estimate here to show the idea. I have various assumptions that lead me to be quite concerned about an early sample return. It has to be as much of a guess as the Drake equation ones. It will show my own personal prejudices so not to be taken as a figure to use. Rather the idea is to encourage you to do your own calculation to see what figures you come up with. It may be useful also as an example of how you might end up with a comparatively high (though still of course tiny) probability of a severe outcome by plugging in numbers that seem at least somewhat plausible. It looks as if Mars was a near twin of Earth for the first few hundred million years, with extensive flooding and very probably seas as well. Microbial life on Earth is highly resilient and able to survive in extreme conditions, and the most ancient seeming of the micro-organisms are particularly well adapted to extreme conditions. Then going by the habitats that seem likely to exist on Mars, then first there may be deep habitats where life could survive from the early days. But also I am quite convinced by some of the suggestions for habitats on the surface right now. Thin films of salty brine beneath the soil and other micro-habitats in the soil, with the salt deliquescing. The salt acts as an “anti-freeze” keeping it liquid at low temperatures. On Mars then the boiling point of water is very low because of the near vacuum atmosphere, just a few degrees C. It actually warms up in many places briefly to above 0C at midday. But at that temperature normal water would evaporate rapidly on Mars even if not actually boiling. The freezing point is the same as on Earth. If you can depress the freezing point though you can get persistent salty brine, and micro-organisms are known that can keep growing right down to -25°C on Earth. The sun may melt snow around specks of dust on Mars. Though a tiny habitat still it could be enough for life to grow on Mars. If life did evolve on Mars as far as single cells, then I think there is a reasonable chance it could then later on as the planet dried up and got colder, adapt to these habitats on the surface. Not certain but a reasonable chance. It would be sparse, and also slow growing, so would have little effect on the atmosphere. It could be hard to detect even if you sample the actual environment it lives in. I also think there is a reasonable chance of finding dormant life on Mars dust - not on every grain but some grains, as this is a possible transmission vector for surface life. The subsurface habitats wouldn’t be observable from orbit. Also all these habitats are likely to be sparsely inhabited by slowly reproducing micro-organisms. So the life may be hard to spot even when directly examined, and if different from Earth life may not show up in a DNA analysis, and may be impossible to cultivate in culture media (as most forms of Earth microbial life can’t be cultivated). Putting all that together, and just to give a wild guess, maybe guess one chance in two that the sample contains life, if “interesting samples” thought likely to contain life are returned. At least a possibility that life on Mars could be based on novel life chemistry. That’s especially since early Mars had no continental drift. So even if some of it was based on Earth life, yet in some of the seas, and in pockets of life deep underground, some alternative form of life might have evolved and it was almost like several different planets rather than just one planet because of the isolation of the different regions and habitats. It could also be a shadow biosphere, capable of living amongst us almost undetected until it causes harm. If slow growing, and a sparse population, even on Earth that might just mean that the latency period is long. although it probably hasn’t encountered our immune system before, that might also mean that our immune system can’t recognize it except as a foreign body and doesn’t have any effective way to repel it. I also think there is a reasonable probability that Mars life could be an allergen for humans, as it is something we have never encountered before, and small in size. So putting that all together, then though biohazard potential still seems low, I would not go so far as to say that it is tiny. I agree that experience of extremophiles on Earth suggests the potential for biohazards are not too high for them. But Mars extremophiles have evolved on a different planet with high levels of UV and cosmic radiation and a near vacuum for the atmosphere . Also they may be unknown forms of life, or unknown biochemistry, and we have no experience at all of the effects of a novel life chemistry on Earth (unless the shadow biosphere exists which is not proven). So, let’s say, one chance in say 500 that the life from Mars is in some way hazardous. Of course a guess again. I’ll stick with the one in a million chance of release during the sample return as my best guess. Though bearing in mind human error which I think the most likely reason for things to go wrong, tired astronaut, or someone who just forgets some crucial step in the protocol, it could be as high as one in a thousand, given the long chain of things that must all be got right, and especially since things did go wrong for Apollo and it is something being done for the first time, I think one in a thousand is not that unreasonable as a chance of some particle getting released even with the thing designed for a one in a million chance. So that makes a chance of between one in a billion (most likely) and one in a million (in case of human error) of something severe going wrong on Earth as a result of the mission. For me that is far too high a probability to even contemplate, given what you are risking. I’m sure this is in the high range of estimates and probably most others would come up with a lower probability than this. And of course it is no more than a guess just as for the Drake equation. But it may help to give something to talk about and start a proper discussion of what the overall probabilities might be :). What are your own assessments of these probabilities? This is a principle that is used in law and politics to guide situations like this. Note, it is not up to the concerned public to do the risk assessment. They don't have the expertise to do that and are not expected to do it. The scientists and mission planners have to do that and then they have to satisfy the public that they did it correctly. The best practices of planetary protection must be followed. ... NASA appears to be exercising due diligence in its plans for preventing back contamination ... Yet pursuing best practices by itself does not necessarily guarantee acceptable level of risk. There should be opportunities for open comment by those individuals or groups that have concerns about the risks of back contamination. These comments should be taken seriously and NASA should publicly respond to those concerns. A committee of neutral or disinterested persons should review the planetary protection measures for the return of spacecraft and samples. This committee should include experts in ecology, biology, chemistry, specialists in risk analysis and ethicists. The ethicists should represent a diversity of philosophical and religious perspectives. The entire process of soliciting comments. quantifying the risk factors, and deciding whether the risk levels are ethically acceptable, should be transparent to the interested public. Much of this is already underway, and there is no doubt that the Planetary Protection Office is open in its dealings, and that interaction and education of the public is an important part of their operations. The only probability I've seen published is a design recommendation for the Mars receiving facility, that it should be designed so that the probability of release of an unsterilized particle is less than one in a million. Then it seems likely that scientists will come up with different numbers for the first figure, the chance that Mars life exists and poses an existential risk. I suggested that they should be encouraged to present a range of different probabilities, and that outlier results in this survey shouldn't be ignored but considered carefully. How can we use our risk assessment to decide what to do? Once we have our probabilities, we still have the tricky question of evaluating them. This is especially hard to do for risk assessments for “existential risks”, as Nick Bostrom, the philosopher, calls them. They are risks where humankind as a whole is imperilled. We haven’t evolved any mechanisms, either biologically or culturally, for dealing with them. There is no chance to learn from our errors, so trial and error can’t be applied. The threats are global and may have to be dealt with internationally, which may go against our usual respect for national sovereignty. Threats such as extinction change the entire future for humanity, and which can multiply up the effect, depending how you take account of future benefits. I have no easy answers, to any of this, but it may help to set out these difficulties. For instance it helps to understand why different people often have widely different ideas for how to handle such risks, even when there is general agreement on the actual level of risks, or levels of uncertainty of risk. We simply haven’t evolved or learnt how to deal with them and so we have to make a fresh start, and work with unfamiliar ways of thinking. What is the way forward if there is no MSR right now? Well here I have a vision for a way that could be totally safe - and actually give better science return too. So to end this with a positive message, I'd like to set out this vision. First, you can send many different instruments to the surface of Mars to search for life, without any of the contamination issues. Robert Zubrin, president of the Mars society has strongly recommended building on the experience with Curiosity and instead of designing new spacecraft, build many more copies of Curiosity with different payloads. 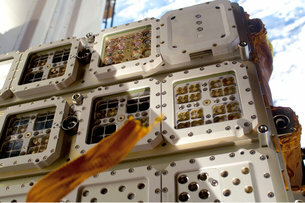 That would reduce the cost per spacecraft considerably because most of the cost comes through the development process. For the cost of a single Mars Return you could have many of these missions. The main problem is to find a way to sterilize the spacecraft enough so it can visit an area on Mars where life potentially could exist right now. Curiosity is not rated to visit such areas on Mars. But that is an issue for Mars sample return too. You can’t do that either until this problem is fixed. So that is a matter of urgency, to find a way to properly sterilize our spacecraft for Mars. NASA is currently looking into low vapour pressure hydrogen peroxide sterilization as a possibility. Once you can do that then you have several highly sensitive instruments that can be flown to Mars and sent to any of the areas where life may survive on modern day Mars. The salt deposits are another obvious target because they have the potential to preserve organics unchanged over geological timescales - so long as you dig below the top several meters of soil that are exposed to cosmic radiation. Jonathan Rothberg, and J. Craig Venters miniature DNA sequencers to sequence DNA directly on the Martian surface itself. Levin’s updated Labeled release instrument that can detect chirality - can enable detection of life even if it is not based on standard life chemistry. It won’t work that well if the life is very slowly metabolizing and unculturable. But definitely worth a try. Urey Mars Organic and Oxidant Detector instrument for detection of biosignatures. This was designed for ExoMars but sadly has been removed because of reasons of weight. It has much higher levels of sensitivity for biosignatures than any previous instruments, and including the life detector chip, able to detect a number of specific biological compounds that could survive geological time periods and on Earth would be unambiguous indicators of life. A new much lighter instrument has been suggested, the Astrobionibbler, able to detect a single amino acid molecule in a gram of soil. Then after that well NASA’s plan is excellent if you just leave out the mars sample return for now, and the human landing on Mars, which I also think is far too premature at this stage. So the general idea is to just put off the sample return until you get humans in orbit around Mars. And take advantage of telepresence on Mars. Start with a visit to an asteroid, to bring it back to the L1 position and create a base there and have it as resources- great idea. I would then use that base to explore the Moon via telepresence. This is an immediate and useful application of telepresence as it is much easier to operate telerobots on the moon from L1. One useful early mission could be to land at the lunar poles and study the ice deposits there in their current pristine state before visits of human explorers. The L1 habitat could also be used to support the first colonies on the Moon, for instance to operate telerobotic missions on the Moon to build human habitats. Send humans to Mars orbit as soon as it is safe to do so. First visit could be a double fly by as in Zubrin’s Athena idea - the first time it passes Mars it is deflected into an independent orbit around the sun, almost like the Martian one but slightly longer so the astronauts spend months in close proximity with Mars. Operate vehicles and robonauts on the surface via telepresence and do field geology and exobiology almost as if they were on Mars. Lasts for about a year and then a second flyby of Mars sends them back on the return trip to Earth. At the end of this we should have as much science return as you would get from centuries of robotic explorers controlled from Earth. But wouldn’t do MSR quite yet. Lots you can do on the surface. This mission can cache interesting samples on the surface. For the potential samples to return, need to search for life signs. If no sign of life then can try culture in Earth like environments on the surface (but careful not to introduce Earth micro-organisms to Mars at this stage just culture media, possibly also try plant seeds if they can be kept completely sterile, but with care not to introduce any unintended life from Earth). By this time we may have developed air breathing spacecraft like Hotol able to fly from an Earth runway directly into space, or other methods for low cost transfer of materials into space. If so then it would be possible to take even large heavy equipment to Mars orbit to study the samples telerobotically in the greenhouse, and indeed to Mars surface and the need to return them to Earth may be much reduced. Note that none of the human missions would be permitted to use aerobraking at Mars. That is because any accident, however unlikely, that ended with a crashed human occupied spacecraft on Mars would irreversibly contaminate the Mars surface with the thousands of species of the human microbiome. I would then leave that experiment to run for some years, especially if there are any indications of life signs, bearing in mind Carl Sagan's remark that e.g. Leprosy has a latency period of up to a decade. Can study it via telepresence from very close proximity in the human spacecraft so with no significant light speed lag, but not actually bring anything into the human habitat in case of very long latency period effects. Could bring carefully heat sterilized specimens to the human habitat, and specimens sterilized by other less destructive methods too, after enough study to be reasonably sure that this is a safe thing to do. Finally let the astronauts handle the samples directly if it still seems safe. If the astronauts do get ill or show any signs of possible Martian infection after handling the samples, and if there is any doubt about whether the pathogen is of Earth or Mars origin, then they need to remain in Mars orbit indefinitely, supplied from Earth, until the symptoms are thoroughly understood. Astronauts at this stage would need to be volunteers who clearly understand the implications, that this could happen. That is how I would do it. There is a long timescale before the actual MSR to Earth - but meanwhile you are doing much interesting and exciting science on the Mars surface, and when you finally return the samples, you know what you are returning, why you want to examine it on Earth, and know that it is safe to return it to Earth with a high level of assurance. I know many readers would say that this is way too cautious. This is one of the many things that can be discussed in the great debate about whether or not to return a sample from Mars, and if so when. This was explored in the First Exploration Telerobotics Symposium (2012), a meeting of robotics specialists from industry and academia. Astronauts have near real-time control of the robots, and can respond immediately to discoveries. The telerobots can be given superhuman abilities e.g. ability to fly (on Mars that would probably be by hovering using rocket motors given the thin atmosphere). Astronauts can operate robots and rovers anywhere on the surface. Can also operate drilling rigs too by telepresence too. The rovers can be fueled by same method as for Mars direct so you can have them able to rove around on the surface at the same speeds they can achieve on Earth. Can analyse the samples on the surface using normal field geology and biology type approaches with the miniaturized electron microscopes and DNA sequencers etc. Return of the sample to orbit has the advantage that it permits analysis of the sample without delay, to detect volatiles that may be lost during a voyage home. I'll just mention these but not go into detail. First the original idea in 1978 was to return a Mars sample to a specially built laboratory in orbit called the Anteus. It was based around the SpaceLab hardware. Levin proposes returning it to the ISS. He suggests using humans in the ISS as volunteer "guinea pigs" before eventually returning it to Earth if everything is okay. Another idea is a return it to the Moon. Another idea is not do the MSR at all at this stage on the grounds that we can do much more useful science for the same cost on the Mars surface, Robert Zubrin of the Mars Society suggested that, now we know how to land Curiosity on Mars, build many copies of it, at a much lower cost, with variations in the instruments and do that instead of a MSR. He of course envisages humans on Mars in near future. NASA explored plans recently for a mission to L2 on the far side of the moon as a permanent human outpost constructed in orbit using parts left over from the ISS program (suggestion of Boeing). So another idea that springs to mind is to return the sample to L2 and just leave it there. You could equally move it to L1 if that was preferable as there are efficient transfer orbits between the two. Personally, if you return it anywhere near Earth, I like L2 best of all, because it is far form the Earth making it almost impossible for it to impact Earth due to malfunctioning rocket or human error. It also keeps it well away from all the debris in the LEO regions of the Earth. For safety reasons you could return it to a completely separate habitat from the one occupied by the humans, in a vacuum, with all the equipment robotic as for one of the Mars Sample Receiving Facility ideas for Earth. You would use telepresence again, just like the way surgeons do keyhole surgery etc. so wouldn't matter that it is a separate habitat. You could then go through the process of gradual study, biohazard testing, and eventually human quarantine just as for the Mars orbit idea. Return to L2 (or L1) to my mind is probably as safe as the Mars idea suggested above if done with care. At any rate seems a useful idea to study and discuss. What about private space companies? What is their role? The private companies can be involved too, and nowadays I think it is important that they are involved. But I don’t think they will do well if they ignore the scientists, not at this stage. So one useful role is mining materials including ice, metals, anything valuable in space, and including e.g. use of 3D printers in space etc, all those plans are great! Also tourism too, again Earth and Moon obvious targets. Then for colonization, start on the Moon and Earth orbit to gain experience with their technology. Personally I think it is far too soon to send non specialists to Mars. That is mainly because of the support issues trying to communicate with a 40 minute delay between messages, and all the issues there are just keeping the environment control in the ISS, and the ISS is nowhere near self contained (can’t even wash their own clothes, grow plants for food, or recycle their excrement and the atmosphere regulation fails sometimes needing emergency oxygen - last time the oxygen failed in the ISS was in 2011, and they relied on bottled oxygen shipped up from Earth for some months ), it wouldn’t work as a long term ship to Mars orbit. You need to have people there who thoroughly understand everything, not just good with their hands, but understand the theory and principles and probably actually been involved in the design and writing the handbooks etc (as in Apollo 13) as they might well encounter Apollo 13 type issues. The general colonists can join in with the Mars orbit colonization later on once the technology is more mature, so long as extreme care is taken to never contaminate the surface. So could join in expanding the habitats, drive vehicles via telepresence, and bring their own perspectives to the colony e.g. resident artist, resident composer, musician etc, cooks, gardeners for the space greenhouses as it expands, etc. I think aerobraking is too risky for humans - partly because of the slight extra risk - and also because you can’t risk the contamination of a hard landing of humans on Mars. But luckily the Mars capture orbit is actually, in terms of delta v, slightly easier to get to than the Moon surface (though low Mars orbit is hard to get to). So it is not that hard to get even quite big habitats out there, without any risky aerobraking, and humans too. Gravity can be dealt with first with centrifuges for sleeping quarters, an idea already under development and may fly to the ISS in a few years, and then by spinning the spaceship itself around as in the HERRO idea, and eventually spacecraft around tethers, or beaded habitats and larger space colony type habitats. What about very long term? Soon after that, with easy movement of material to space and from place to place in space, it may become as easy to build a space habitat as to build a city on Earth. At that point you could have millions of people even billions in space. Very long term, there are enough materials just in the asteroid belt to build habitats for hundreds of times the surface area of the Earth and trillions of colonists (far more than is possible on any planetary surface). So the long term potential is vast. Indeed long term, so long as humans on Earth do not face an immediate existential risk (such as a high mass object on collision course with the earth say) , you want the expansion into space to be slow and careful. Especially, issues like e.g. space terrorism, or even worse, space war and militarism suggest care. That could be horrific, and we need to mature somewhat as a species to have peaceful space colonization. Our space law also has to mature. Whether peaceful space colonization is possible may depend crucially on the legal situation, for instance arguably without the international ban on nuclear weapons in space, the Earth would be a much less safe place than it is today. This would hopefully be accompanied with some kind of a golden age on Earth with population problems fixed, pressures removed from our ecosystems, almost unlimited energy from fusion power, and total elimination of hunger, and poverty. Which is a possible state I think we could reach. But in between probably have some very tough rocky decades to deal with! Colonization enthusiasts sometimes talk about Mars as a possible second Earth which could survive if things go badly wrong on Earth. Well a colony on the surface of Mars - it is such a hazardous difficult place to live, you are better off on the Moon in many ways. It is not going to be a viable colony able to survive independently of Earth for a long time. If you look into it, it has to be highly technological to survive with near vacuum, need to have high technology spacesuits to get out of doors, extreme cold, many issues. It is probably easier to survive in orbit or on the Moon and being close to Earth is a great help to start with. At least hard to think of any natural disaster that could affect them all. But human induced another matter, war, terrorism etc. How you can deal with that I have no idea. Space colonies would be especially vulnerable, and space technology so powerful. However the current Outer Space Treaty with its strong focus on peaceful exploration of the solar system is a good start. We probably need to be careful how that develops and how it gets built on or changed. Some of the references I have used for research into this article are listed below. Wall, Mike (September 27, 2012). "Bringing Pieces of Mars to Earth: How NASA Will Do It (note, proposed mission only)". Space.com. Retrieved September 28, 2012. ^ Wall, Mike (September 27, 2012). "Bringing Pieces of Mars to Earth: How NASA Will Do It (note, proposed mission only)". Space.com. Retrieved September 28, 2012. Exploring the Origin, Extent, and Future of Life: Philosophical, Ethical and Theological Perspectives Chapter 10, A Christian Perspective, Cambridge University Press, 3 Sep 2009." International Committee Against Mars Sample Return. Joshua Lederberg Parasites Face a Perpetual Dilemma Volume 65, Number 2, 1999 / American Society for Microbiology News 77. Barry E. DiGregorio The dilemma of Mars sample return August 2001 Vol. 31, No. 8, pp 18–27..